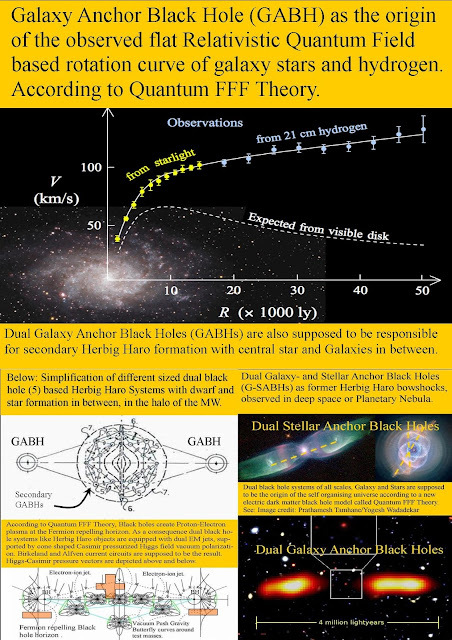 Polar dwarf galaxy structure of the milky way is breaking up. 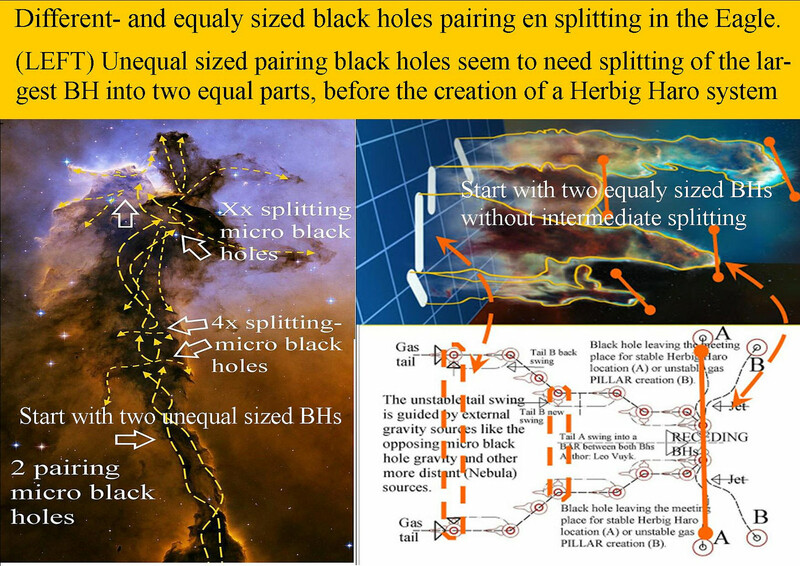 the article says: "" Their simulations showed the vast polar structure breaking up and dispersing, indicating that the plane is not as old as originally thought and formed later in the evolution of the galaxy."" 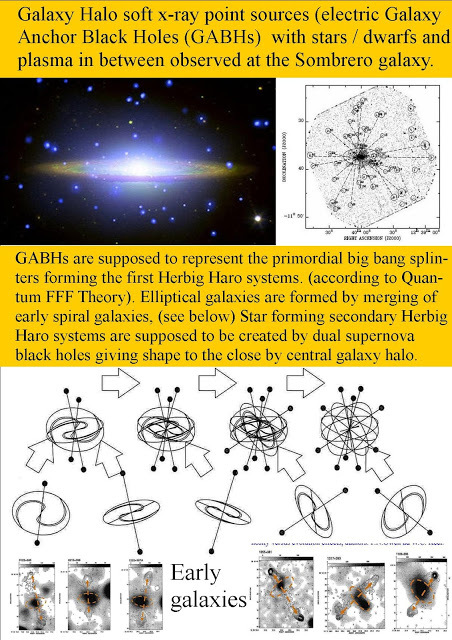 According to Q-FFF Theory, this polar structure is based on 2e order GABHs ( Galaxy Anchor Black Holes) of smaller merger galaxies than the MW. Also according to Q-FFF Theory is that BLACK HOLES are the same as DARK MATTER. 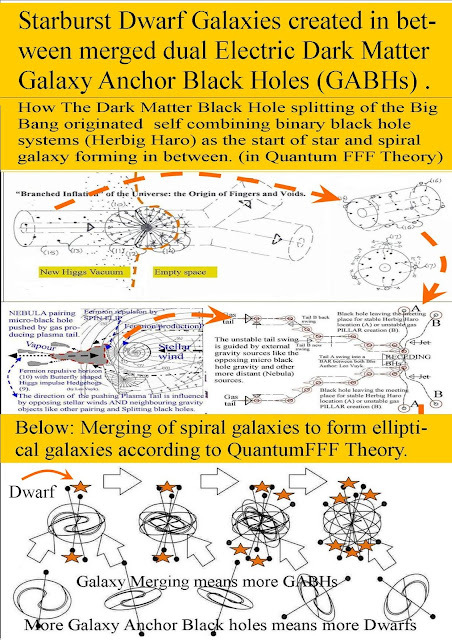 so: The title is not correct about "at edge of " because all satellite galaxies should coexist with DM. 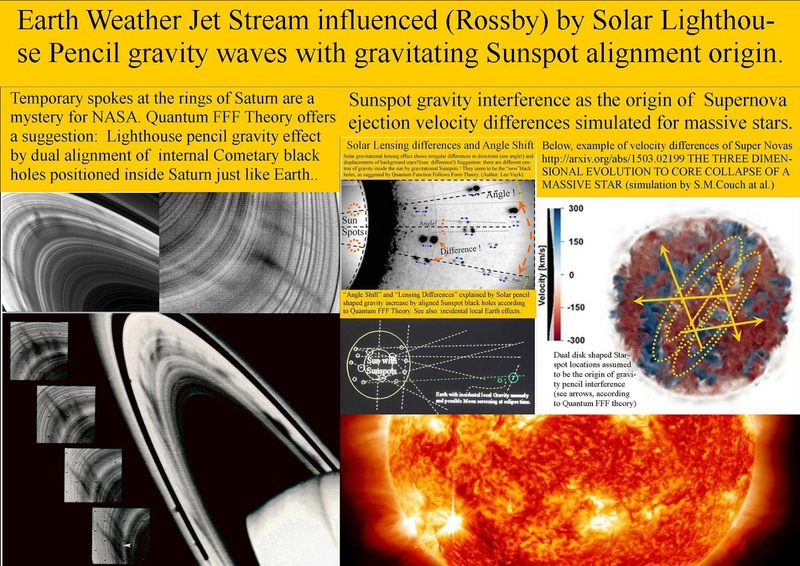 "Satellite galaxies at edge of Milky Way coexist with dark matter"
Solar Starspot Lighthouse-Pencil Gravity Effect on Earth's air pressure dynamics like jet streams. Earth Weather Jet Stream influenced (Rossby effect) by Solar Lighthouse Pencil gravity waves with gravitating Sunspot (Crashed Comet micro black holes) alignment origin. According to Quantum FFF Theory. 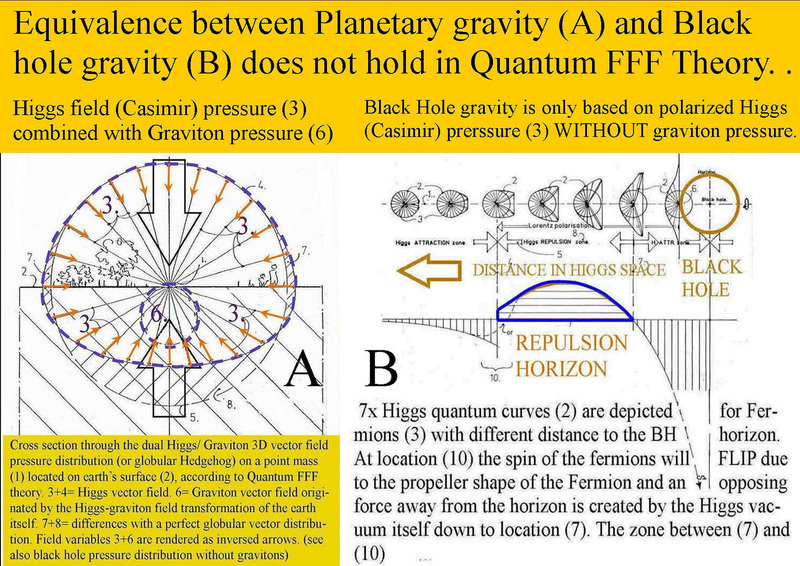 Dual opposite Pressure Vector Diagrams for all attraction and repulsion forces. 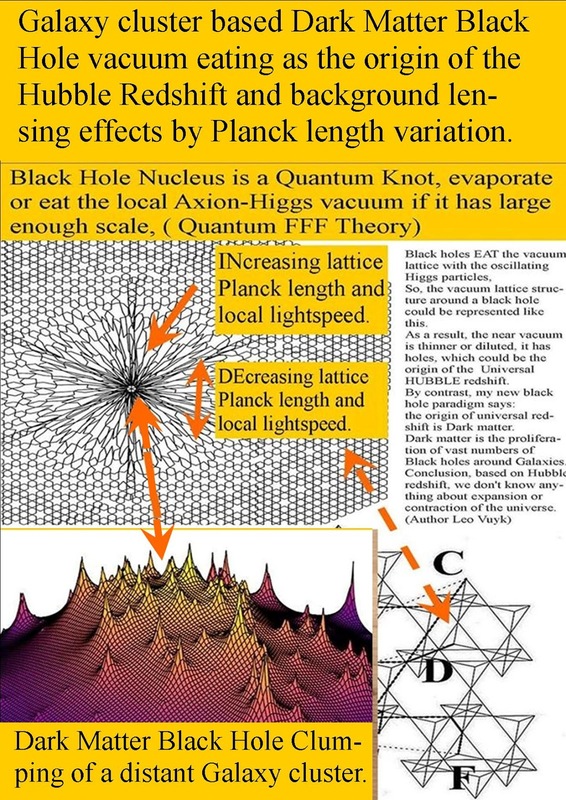 IMHO, I would suggest that all attraction or repelling forces are the result of two opposite interactions between the oscillating vacuum and all other photon information. 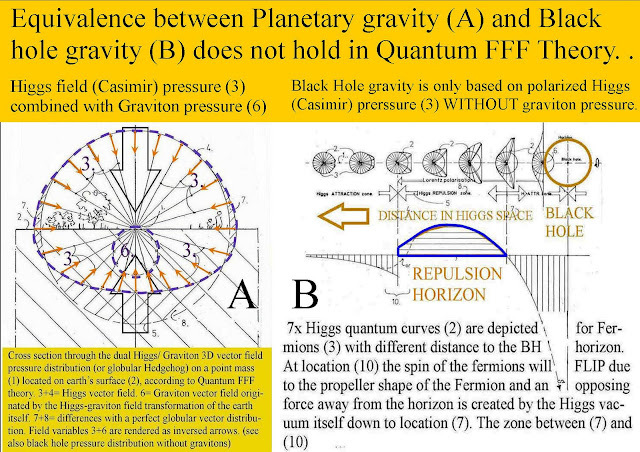 Then gravity is the opposing pressure result between gravitons and what I would call Axion-Higgs vacuum particles. 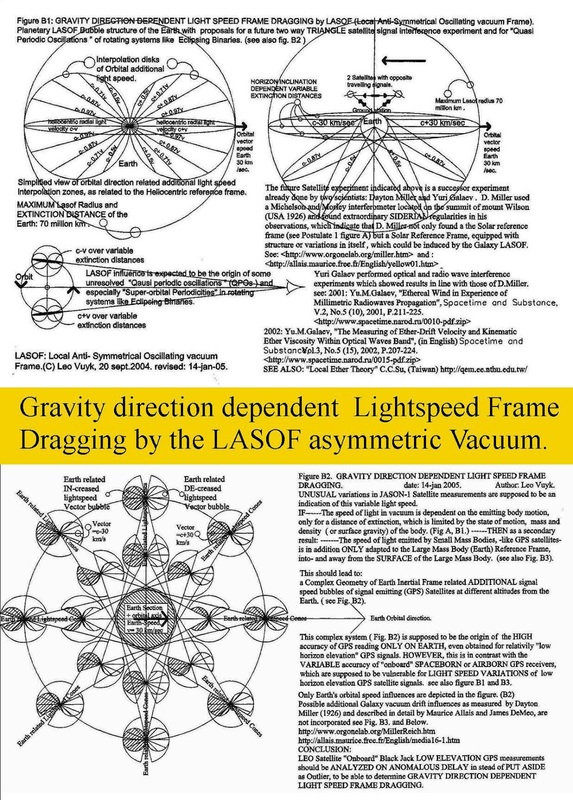 See: Dual opposite Pressure Vector Diagrams for all attraction and repulsion forces. 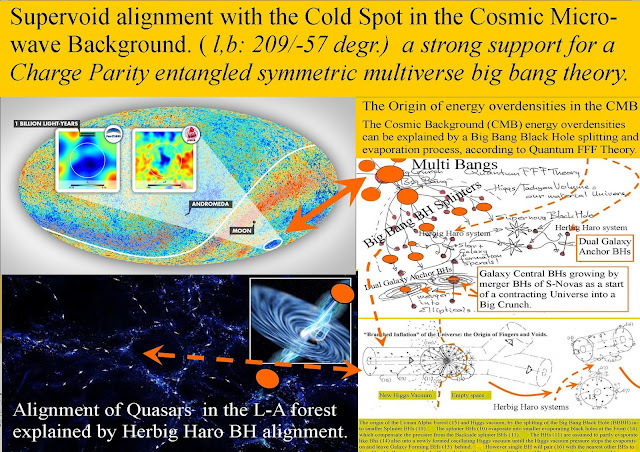 Cold Spot and Supervoid Alignment in the CMB, CP symmetric multiverse related. 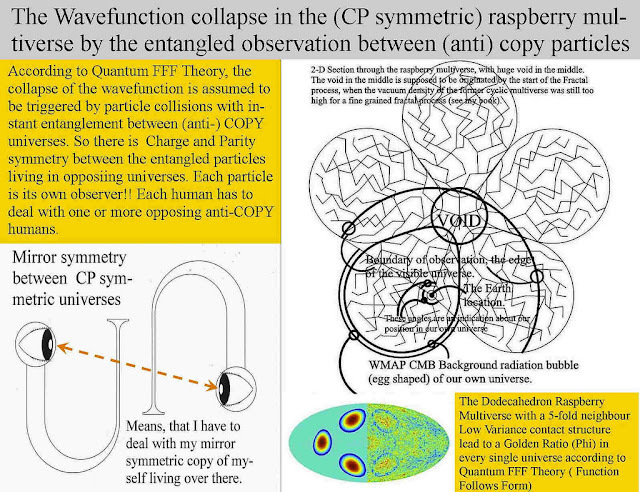 Supervoid alignment with the Cold Spot in the Cosmic Microwave Background. ( l,b: 209/-57 degr.) a strong support for a Charge Parity entangled symmetric multiverse big bang theory. 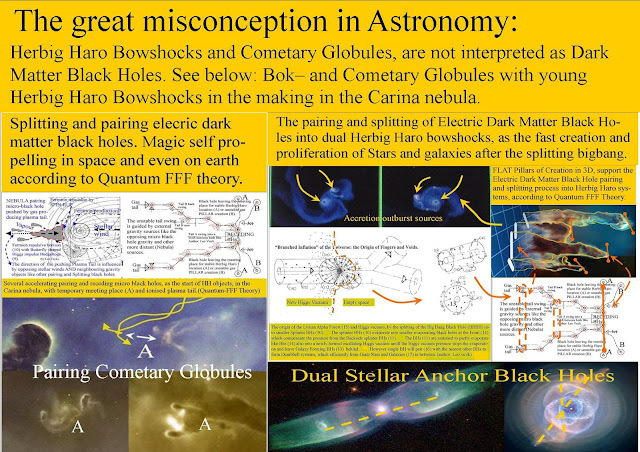 see also: Inflationary Primordial Black Holes as All Dark Matter. 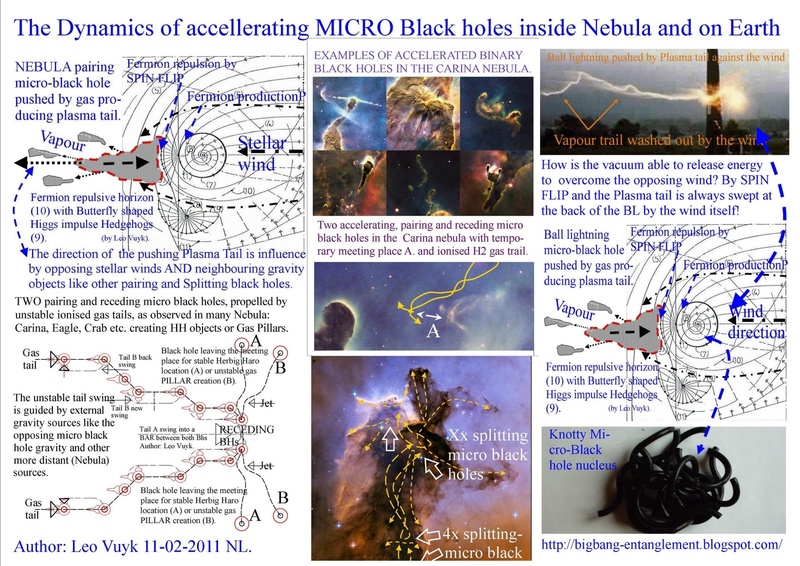 An Alternative Stringy Black Hole nucleus with Entropy Decrease and Plasma Creation. 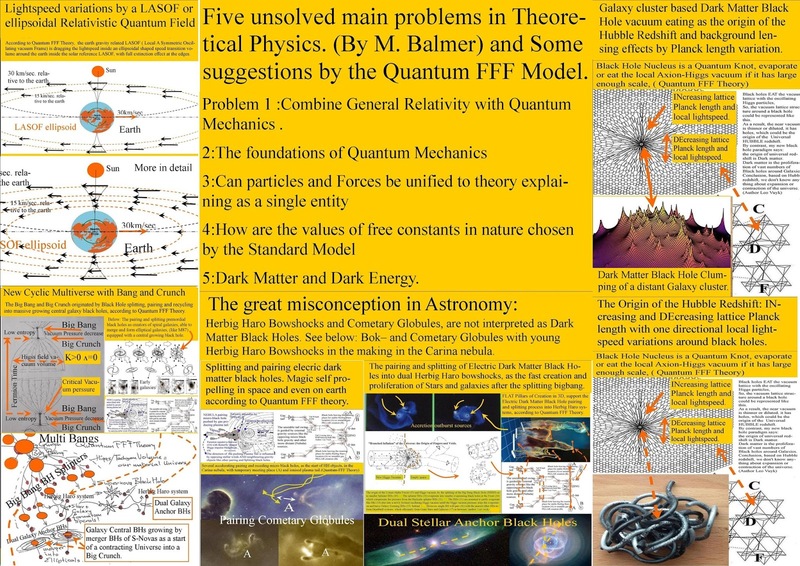 In particle physics it is an interesting challenge to postulate that the sub quantum FORM and structure of elementary particles is the origin of different FUNCTIONS of these particles. In my former paper “3-Dimensional String based alternative particle model.” I presented a possible solution based on complex 3-D ring shaped rigid string particles based on only one massless Axion–Higgs based transformable ring . 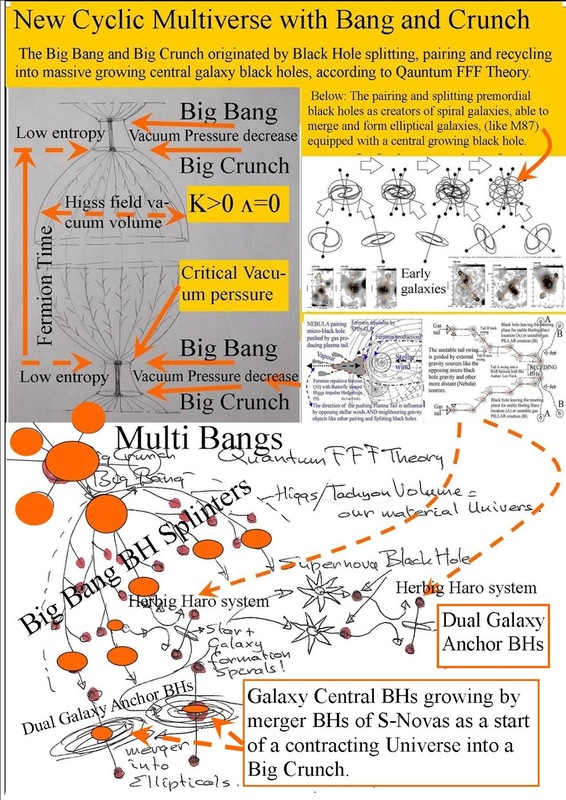 Now this paper presents the possible consequences of such a 3-D string particle system for Black hole string knot based nuclei, such as repulsive quantum gravity form dark energy based Axion-Higgs space and a new fermion repelling black hole horizon with decreasing entropy and pair production (e-e+) forming positive quark quantum knots and electron based plasma. In Quantum FFF Theory, it is assumed that the vacuum is seeded with “new” massless Axion-Higgs vacuum particles, able to transform into real rigid string based photon and fermion particles . 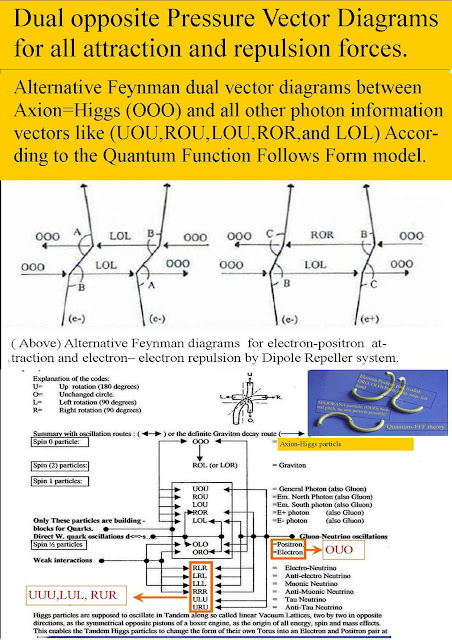 This system is assumed to be able to transfer all photonic energy in wave form until a fermionic barrier ( like a screen) does change an Axion-Higgs (AH) particle into a real photon particles (wave particle duality). This is reason to postulate that AH particles are the origin of all energy and Matter in the universe. 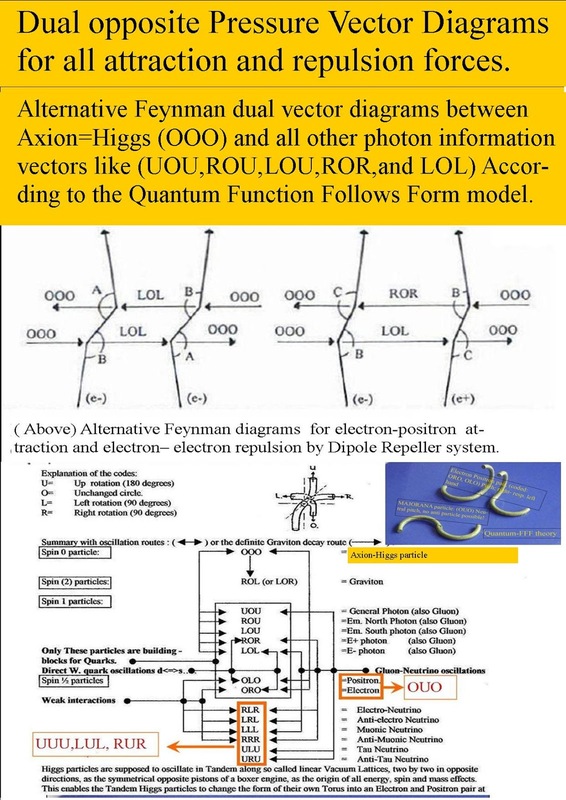 If by a local energy excess, two oscillating AH particles collide head-on with enough excess of energy, it is assumed that at first an electron and positron emerges by the transformation two AH particles. 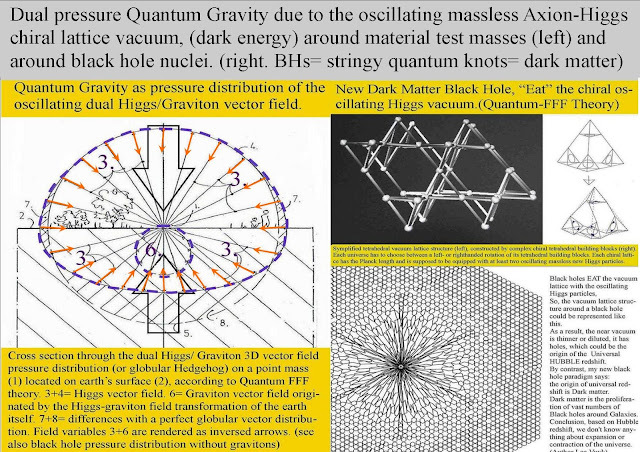 Due to the propeller shape of the Fermions with left or right handed spin, they start to spin automatically by the constant collision and scattering process with the AH vacuum. 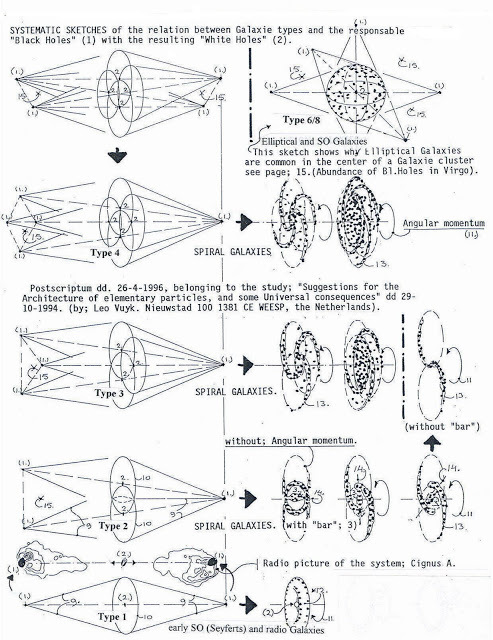 As a collision result, AH particles continuously transform into different forms of Photon/Gluons. 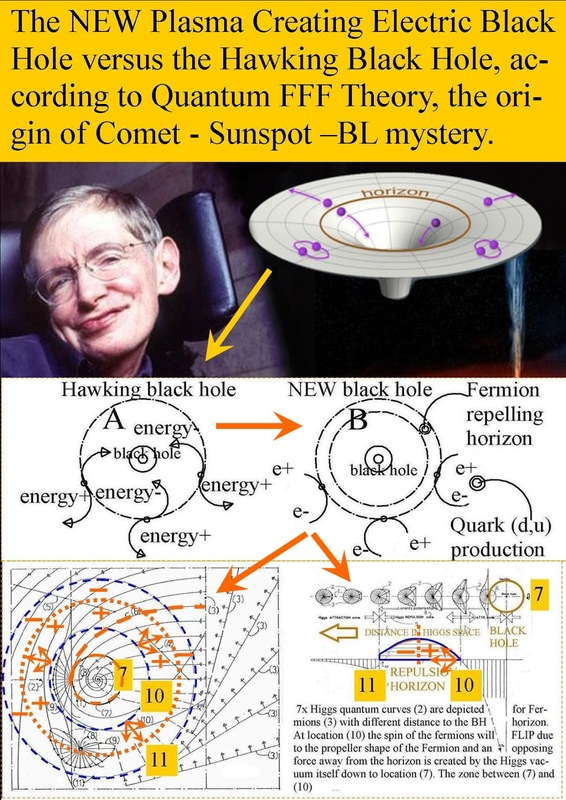 This scattering system is supposed to be the origin of all “eigenenergy” of fermions and all radiation and energy in the universe including Quantum gravity also called double LeSage gravity. 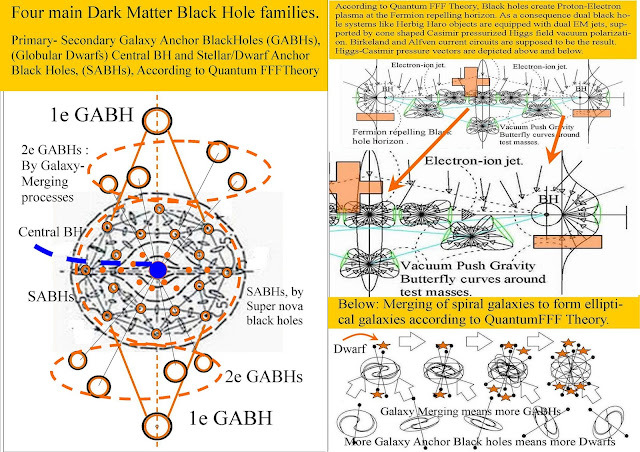 It is proposed, that at the globular horizon of black holes, AH particles are constantly producing numerous twins of electrons and positrons, ( pair production) due to spacetime (vacuum lattice) concentration by deformation. At the same time, the complex double spin of fermions seems to be the origin of all material MOTION, through the thick energetic soup of the Planck scaled Higgs vacuum lattice and the origin of a so called SPIN-FLIP with REPELLING abilities , at a certain distance from the black hole horizon,. As a result these properties are reason to formulate a new black hole paradigm , different from the Hawking black hole. Big Bang Black Hole Nucleus Splitting and Pairing process after a Big Crunch by central eating of small black holes. 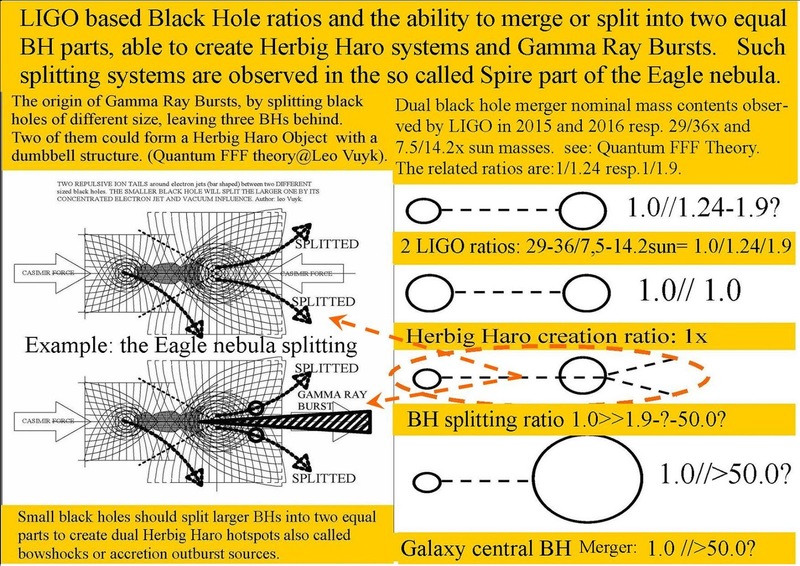 Black hole mass related merger dynamics and universal contraction. 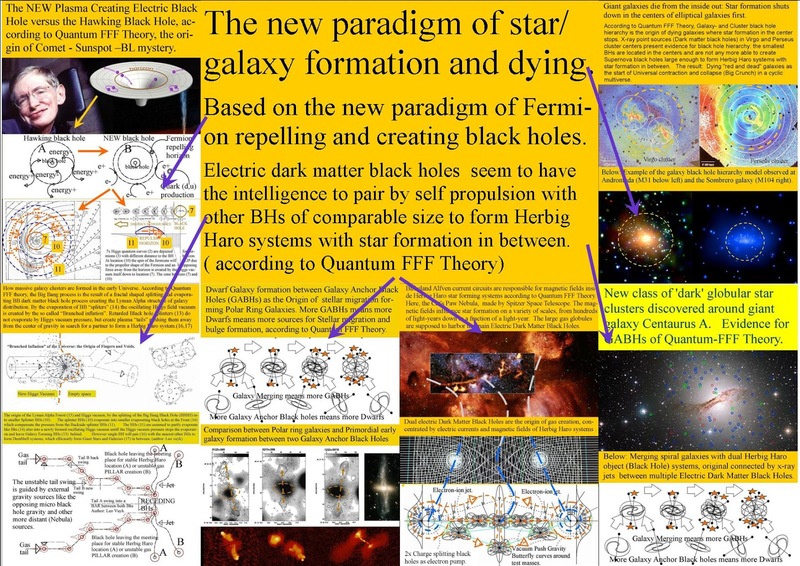 6000 small S-Nova black holes in the Milky Way center (green spots below) is a support for the BH family distribution according to Quantum FFF Theory. 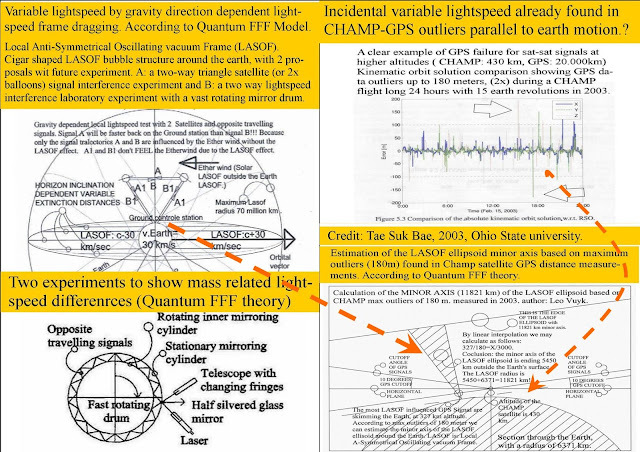 (see right below). However Abell 520 cluster seems to centralize massive 1e an 2e Galaxy Anchor BHs (GABHs) in a DM core after merging of three clusters. 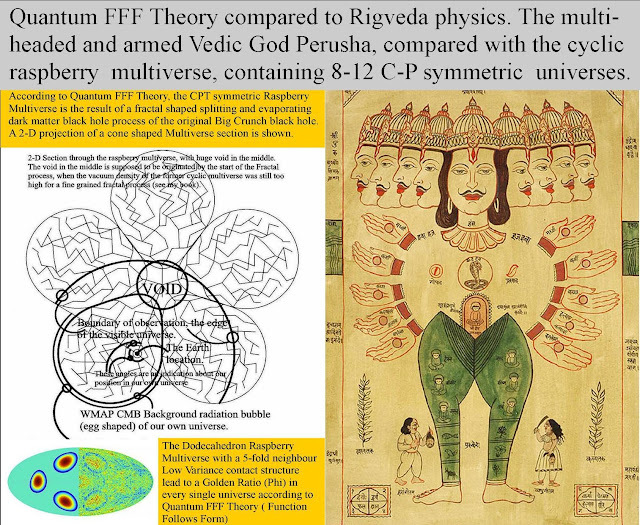 (below left). 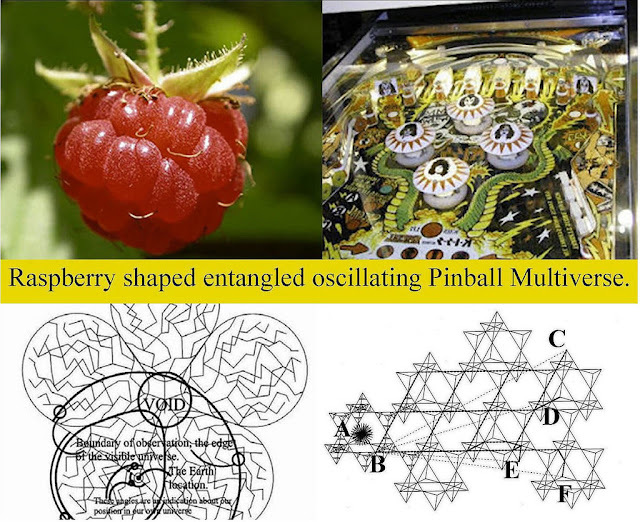 Do we live inside a 3D simulator multiverse, with a steering wheel in our hands and a break/ veto pedal? 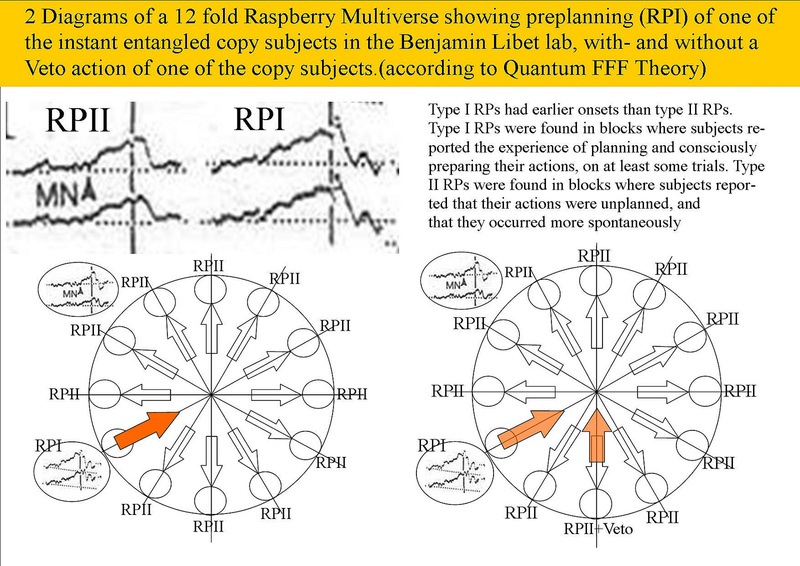 IMHO, we live in one part of a restricted number (8-12) of REAL not simulated, CP symmetric entangled universes, which can be compared with a raspberry shaped Multiverse with instant Pilot Wave entanglement between CP (Charge Parity) symmetric copy particles (Quanta) at long multiverse distances, to keep all universes each others exact CP symmetric copies. 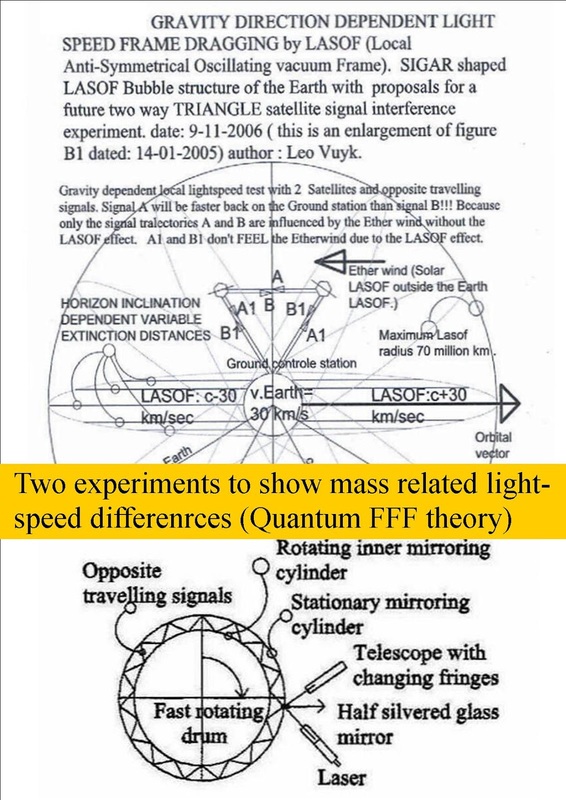 As a consequence, we are individual partners of a group "copy selfs" only able to initiate and VETO an act or decision for the rest of the group. 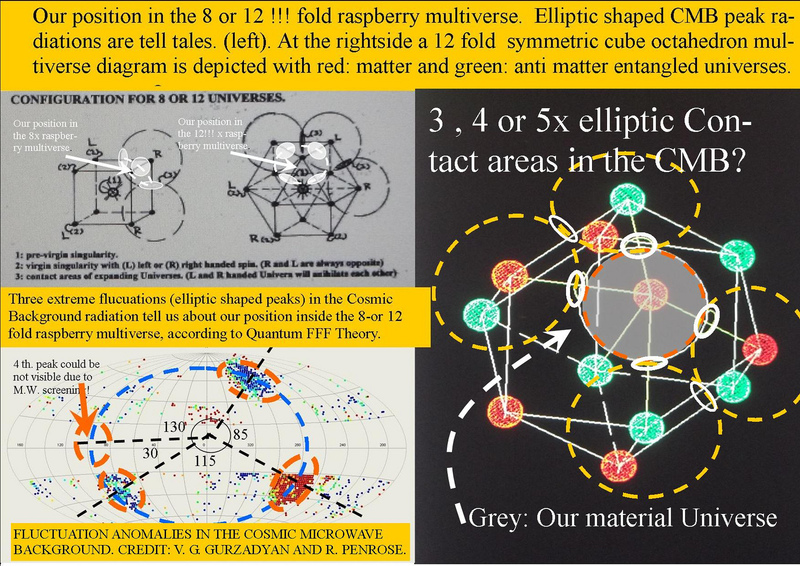 and: CP Symmetry Between Material and Anti Material Copy Universes Combined with Local- and Multi-Universal Cycle Time. Conclusion, still we may look at one of 8 or 12 fold 3D synchonized simulator screens. 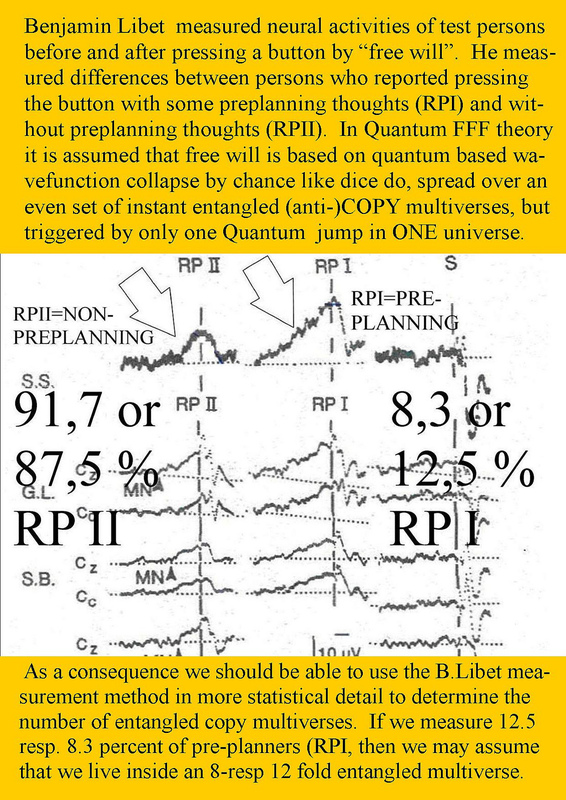 with interconnected steering wheels but individual Break/Veto pedals for individual veto action, which is the only "free will" we may have. So if we are not enough educated in social responsibility, then aggression and even war will be around the corner. Many Worlds (8 or 12) with instant Pilot Wave entanglement between CP symmetric copy particles= Quantum FFF Theory. 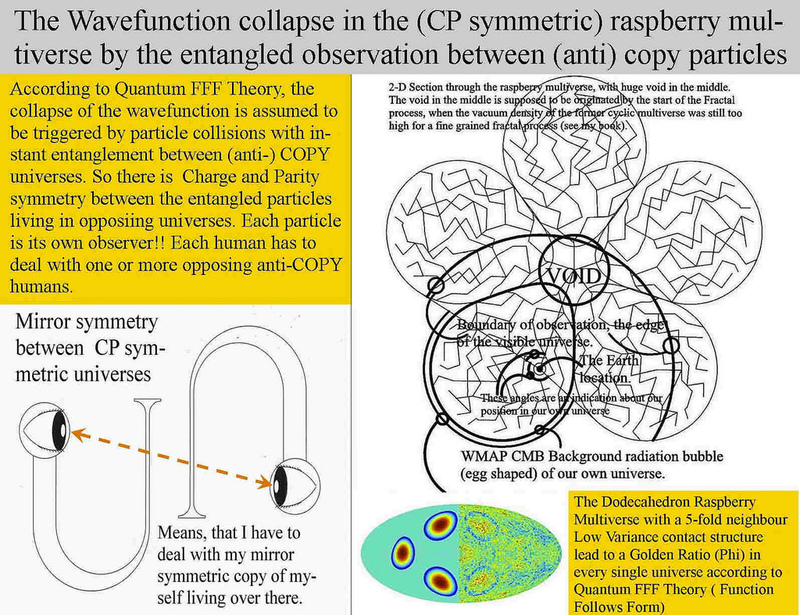 Quantum FFF Theory can be compared with Many Worlds (8 or 12) with instant Pilot Wave entanglement between CP (Charge Parity) symmetric copy particles (Quanta) at long multiversal distances, to keep all universes CP symmetric copies. Instant Broglie Bohm Pilot Waves, the Origin of All Entanglement Effects in the Lab and Wavefunction Collapses in Our Universe as Related to Our Opposing Anti-Copy Universe(s) According to Quantum FFF Theory. Less Dark Matter Rotation Influence on Early Galaxies. 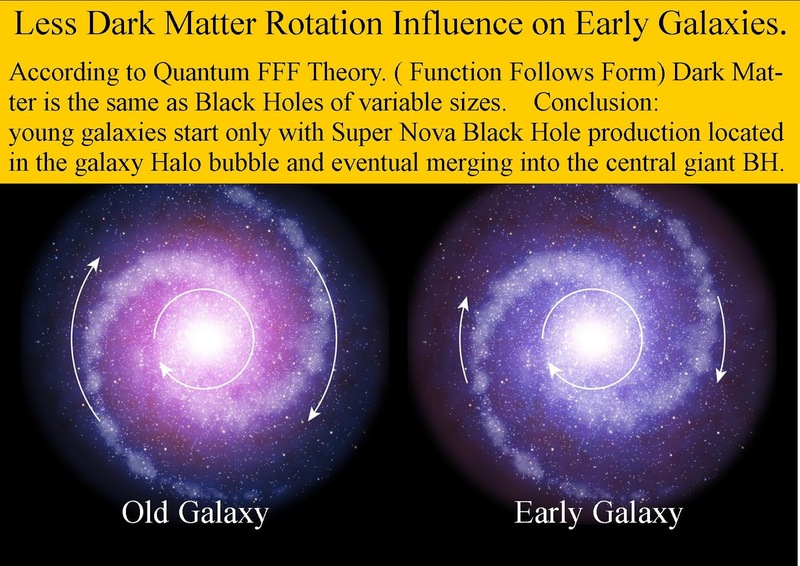 young galaxies start only with Super Nova Dark Matter Black Hole production located in the galaxy Halo bubble and line by line merging into the central giant BH. 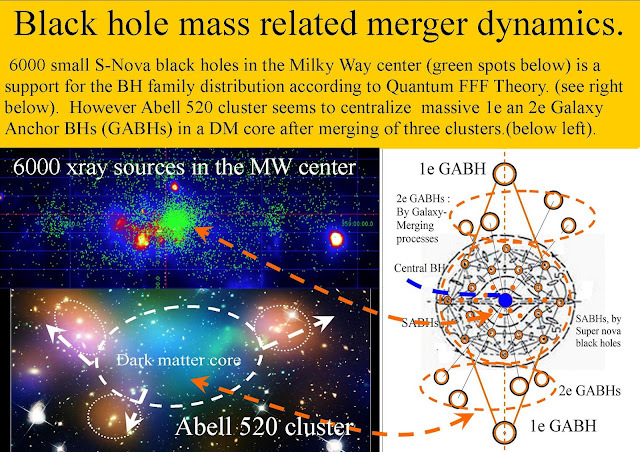 Second: after merging with other galaxies, the dark matter content suddenly increases. See: Distant galaxies lack dark matter, study suggests. Different families of Dark Matter Black Holes. 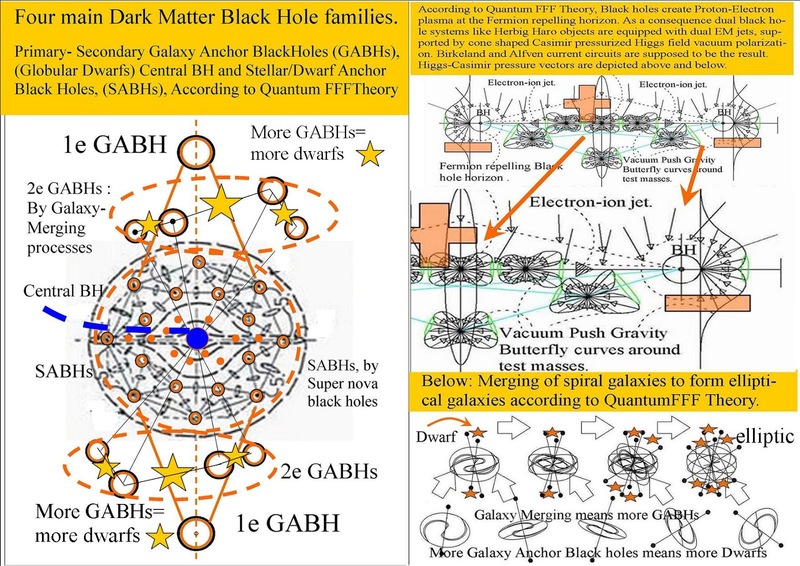 Primary- Secondary Galaxy Anchor Black Holes (GABHs), (Globular Dwarfs) one growing Central BH and Stellar/Dwarf Anchor Black Holes, (SABHs), According to Quantum FFF Theory. How does all these black holes keep their mutual distance? exept for the small BH near the central BH and BHs with LIGO ratios? 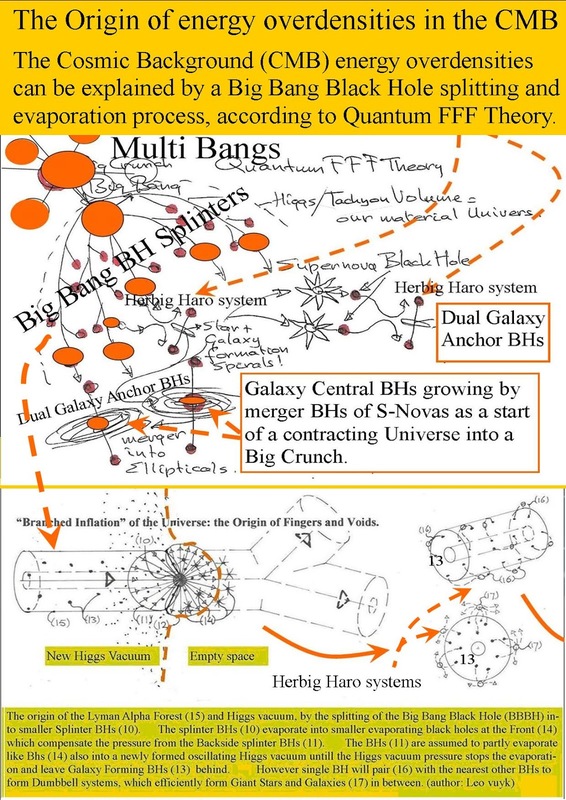 By hydrogen pushing tails produced by the BH itself via pair and quark production at their horizons, pushing away from the local center of gravity. 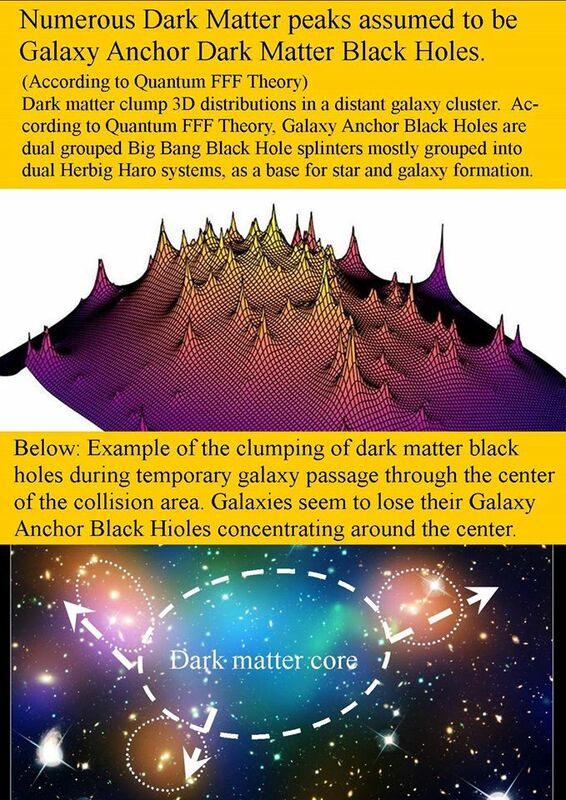 DarkMatter Black Holes are Entropy Dumpsters eating the dark energy vacuum. 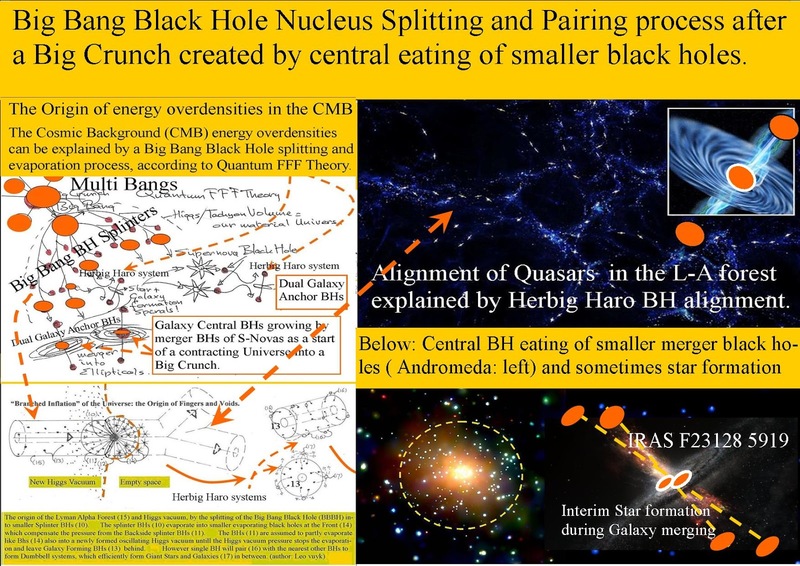 Galaxy cluster based Dark Matter Black Hole vacuum eating as the origin of the Hubble Redshift and background lensing effects by Planck length variation. 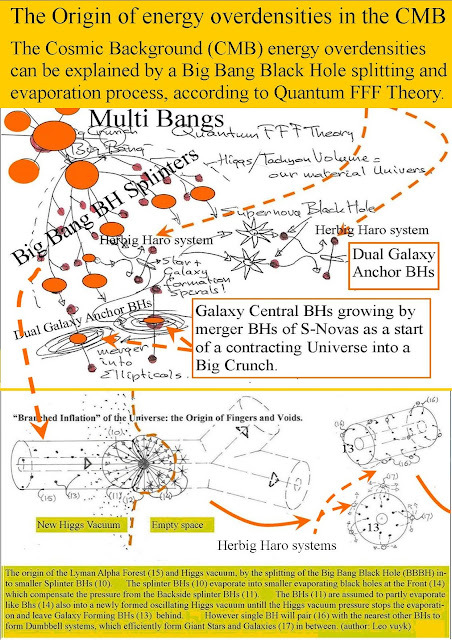 A strong support for the non Accelerating but Decelerating universal expansion. 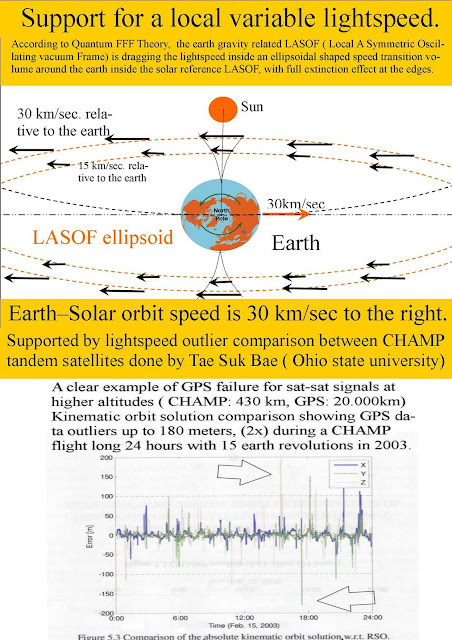 Ellipsoidal Relativistic Quantum Field ( LASOF) around the earth in motion through the sun's LASOF. 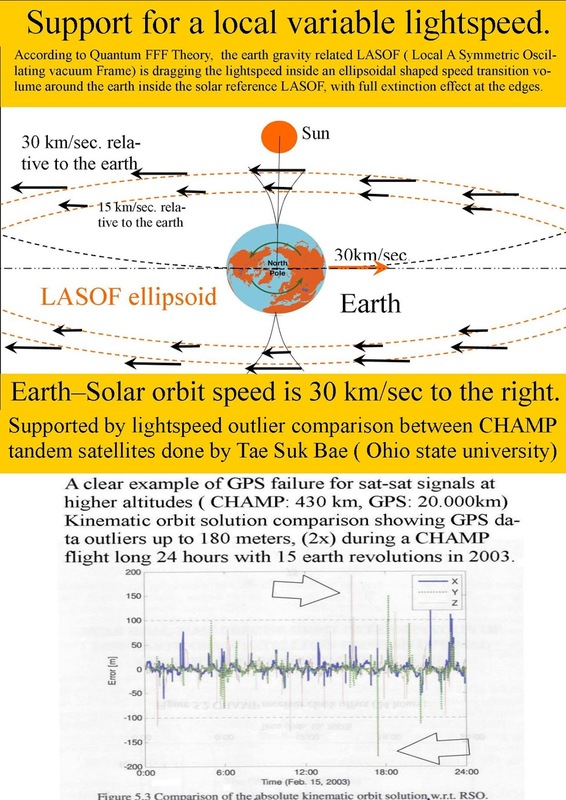 Support for a local variable lightspeed inside an ellipsoidal transition zone around the earth. According to Quantum FFF Theory, the earth gravity related LASOF ( Local A Symmetric Oscillating vacuum Frame) is dragging the lightspeed inside an ellipsoidal shaped speed transition volume around the earth inside the solar reference LASOF, with full extinction effect at the edges. The Michelson and Morley experiment observed that at the earth surface there is NO vacuum or ether effect. 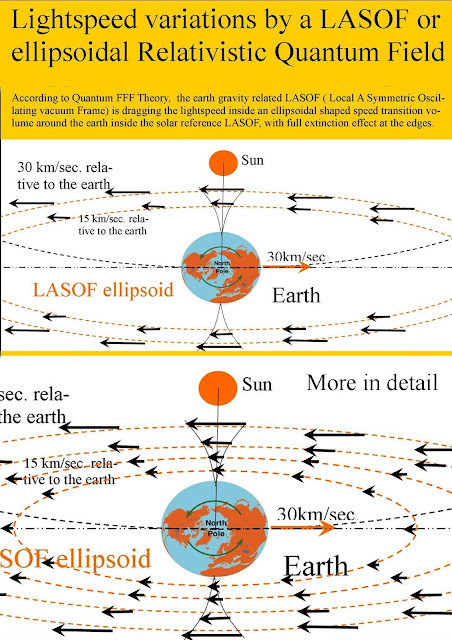 However at higher altitudes there seems to be an ellipsoidal transition zone . Galaxy Anchor Black Hole (GABH) as the origin of the observed flat Relativistic Quantum Field based rotation curve of galaxy stars and hydrogen. Relativistic Quantum Mechanics and the Origin of the changing Hubble Redshift of distant objects explained by INcreasing and DEcreasing lattice Planck length with one directional local lightspeed variation around vacuum eating black holes. 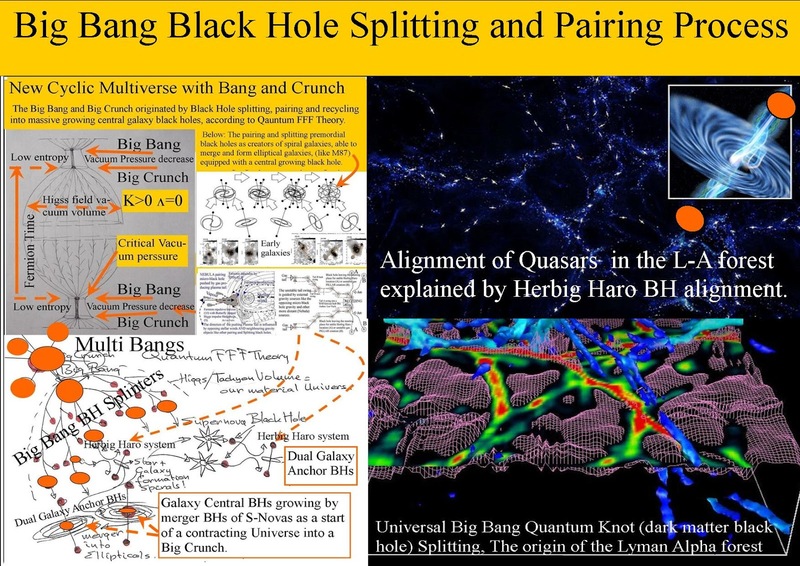 INcrease or DEcrease of the local Planck length around proliferated black holes, lead to one directional lightspeed variations and variations of the Hubble redshift by dynamical changes in the foreground configuration of standard candles like Supernova BHs.. So this is a beginning of reconciliation between relativity and quantum mechanics called relativistic quantum mechanics. Explanation of the Relativistic Quantum Field 3D logic behind the variable lightspeed around black holes. Each vacuum lattice tetrahedron has four nodes connecting four opposing tetrahedrons. 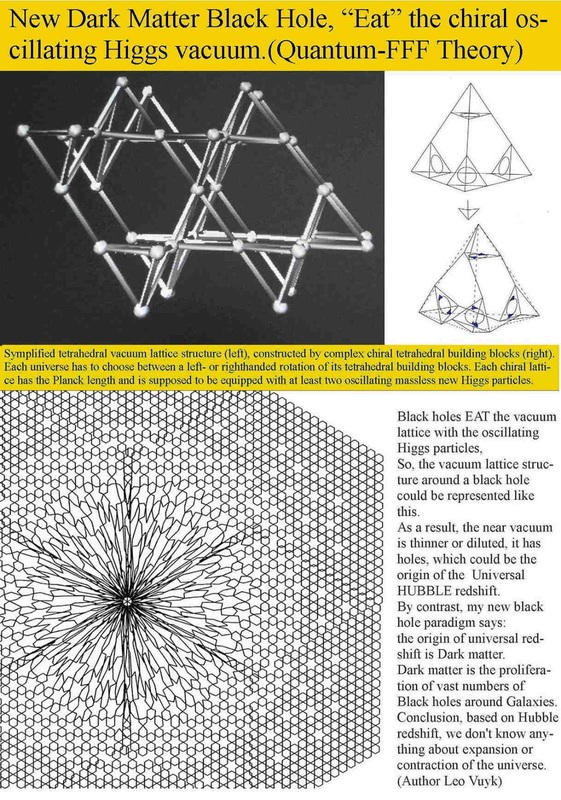 Each tetrahedron has 6 chiral edges each equipped by two mass less oscillating Axion-Higgs vacuum particles arriving at the same interval (the same universal synchronized moment) at the nodes to transfer their photon information to a second Axion Higgs particle active oscillating on one of possible three opposite edges of the opposing tetrahedron. 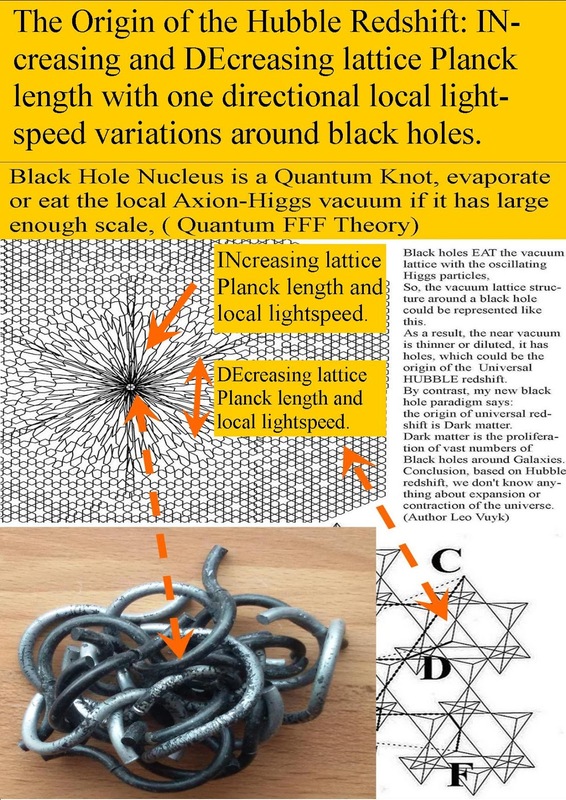 If the tetrahedrons become anti-symmetric as suggested around black holes, (see image) the length of the edges change and consequently the lightspeed changes also by the difference in length of the photon trajectory within the same interval of oscillation between the nodes. A second example of a Relativistic Quantum Field is the ellipsoidal transition zone volume around the earth, see below. The Great Misconception in Astronomy and Physics. Revisiting Black Holes as Dark Matter.